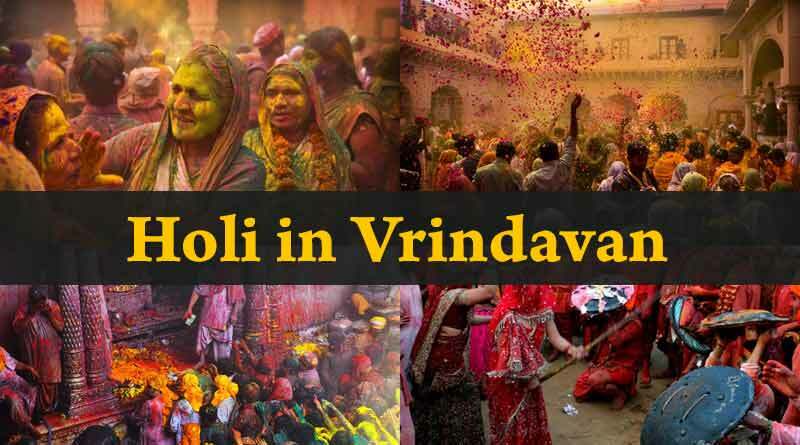 Holi in Vrindavan – Although there are many places in our country where Holi is celebrated with great fervour, Vrindavan is immensely popular for its wild yet colourful celebrations. The colourful streets of Brijdisplay crazy events involving colours, canons of water, sticks, and shields that attract people from across the world during this time of the year. 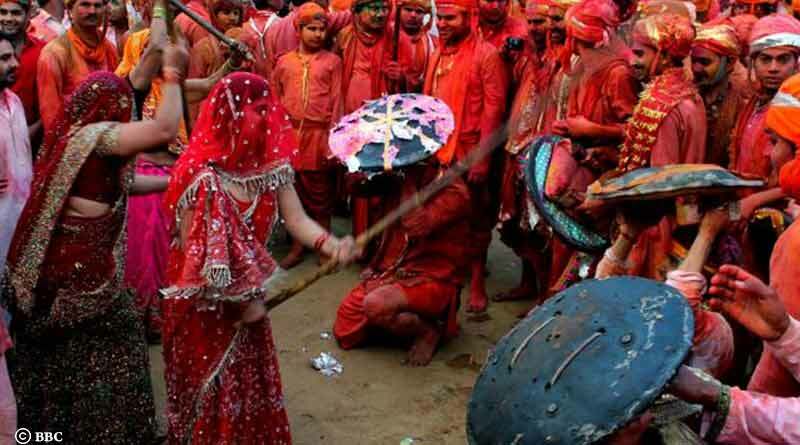 Vrindavan’s Holi celebration is popular for this bizarre event, Lathmar Holi, where women chase men and beat them up with sticks. Barsana and Nandgaon follow this custom of fun-filled beatings. This event attracts participants in large numbers and takes place usually a week before the actual Holi. The Banke-Bihari Temple hosts a seven-day long colourful celebration. The Bihariji’s idol is dressed up in white coloured clothes and brought closer to the devotees to celebrate Holi. The temple priests’ showers holy colourful water on the devotees. 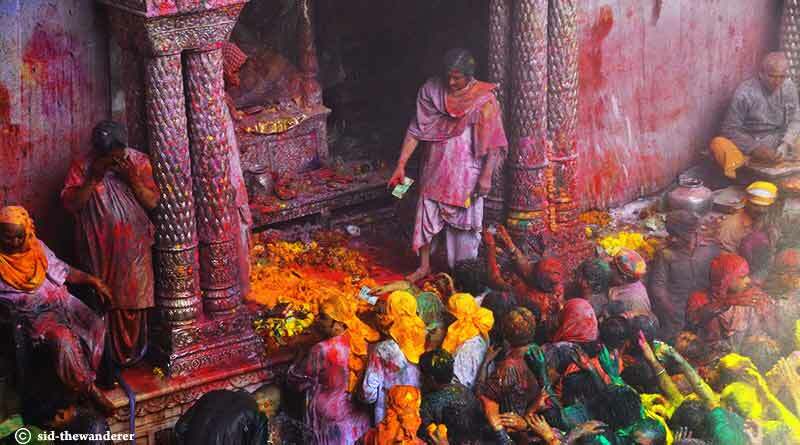 The major event takes place a day before Holi and temple doors are open from morning 09:00 am to 01:30 pm in the afternoon. 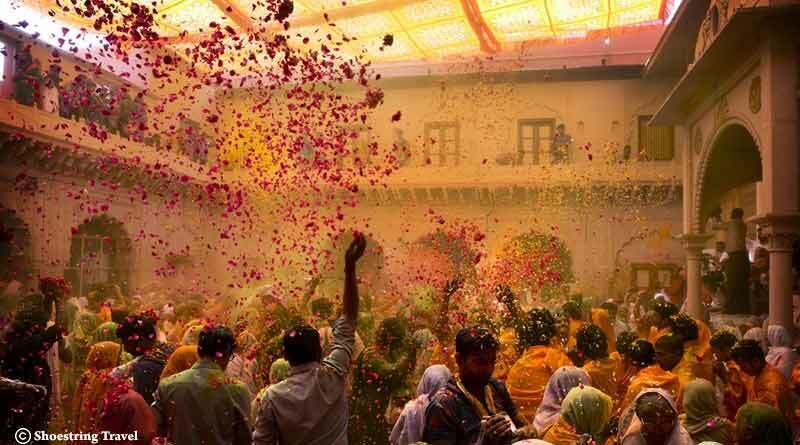 This peculiar form of Holi celebration takes place at the Banke Bihari temple at Vrindavan. Unlike the traditional Holi, it is celebrated with flowers on the Ekadashi before Holi. The event is a short affair of 15-20 minutes where the priests of the temple throw flowers at the devotees. 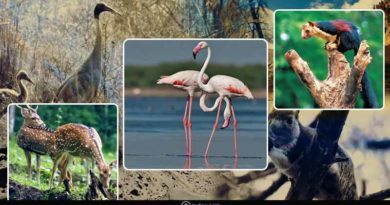 Flowers’s Holi will be celebrated on 26 February this year. Apart from Banke Bihari Temple, the Gulal-Kund in Braj also celebrates Holi in its own interesting way. Gulal-Kund is a small lake near the Govardhan hill. Pilgrims visit this place to witness the Krishna-Lila drama performed by locals. The performers re-enact the Holi scenes which will surely take you back to the mythological period. 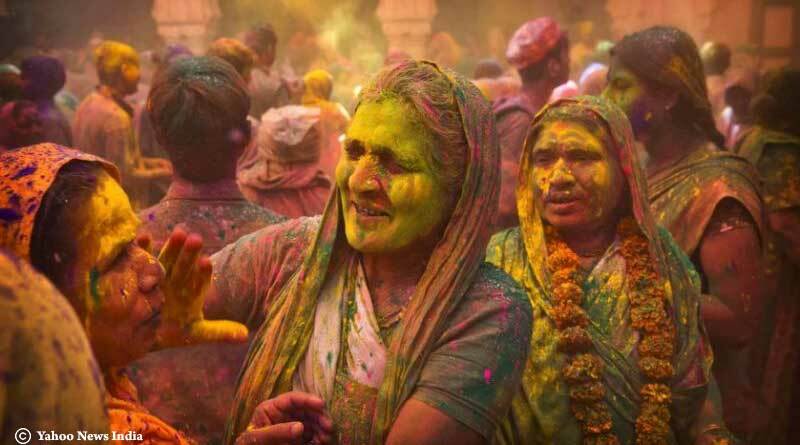 You can’t see Holi celebration anywhere in India except the celebration of Holi in Vrindavan. ← The life and achievements of Subedar Yogendra Singh Yadav ← What do you need to become a Content Writer?